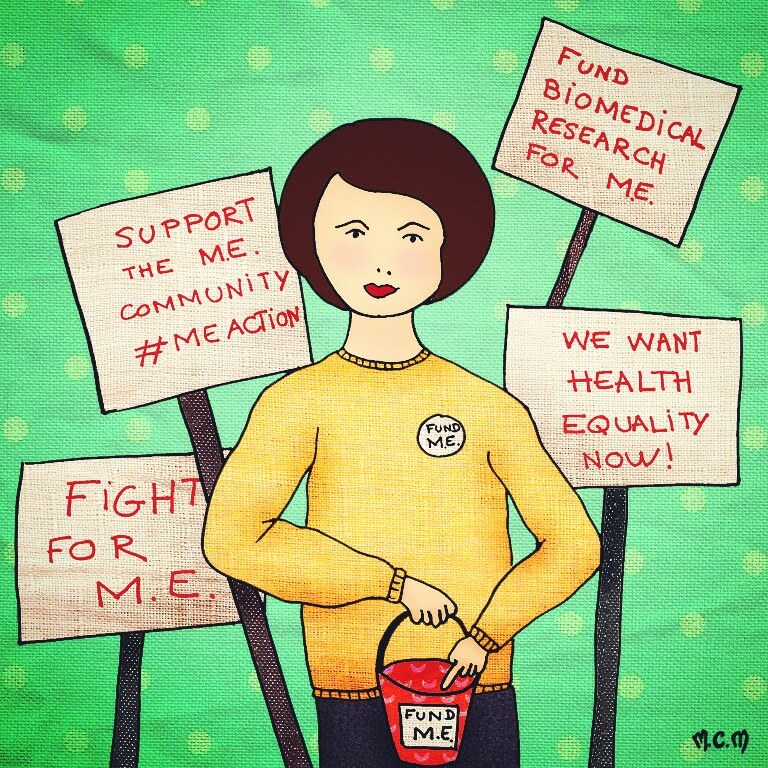 #MillionsMissing is a global campaign for ME health equality. Help us make noise this year by spreading the word on social media! Demonstrations to demand health equality for ME will take place this week! 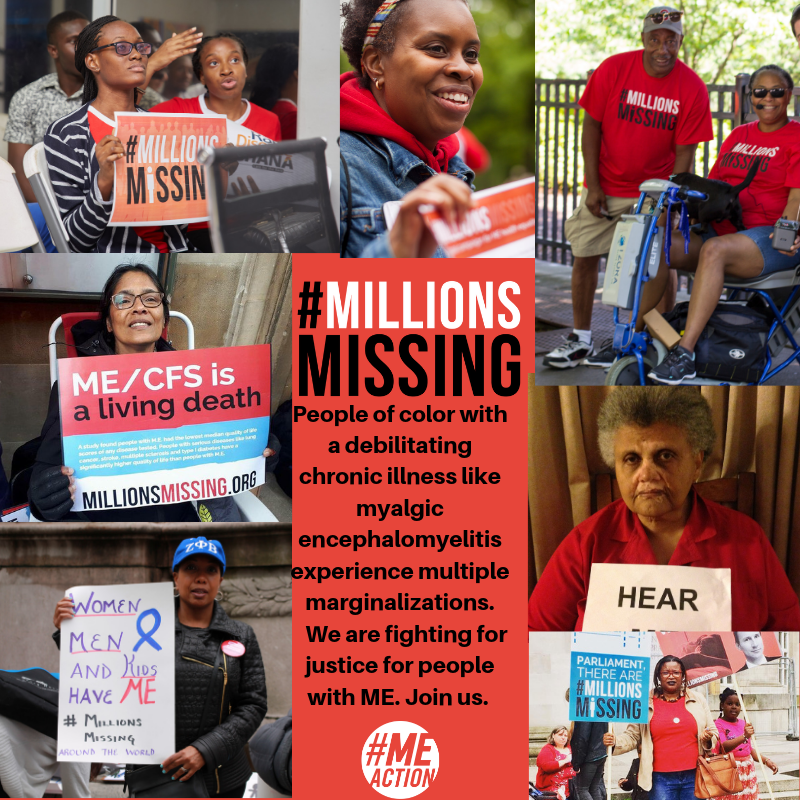 Join the #MillionsMissing this May 5th- 12th! Attend to show your support! Support people with ME & all chronic illness. 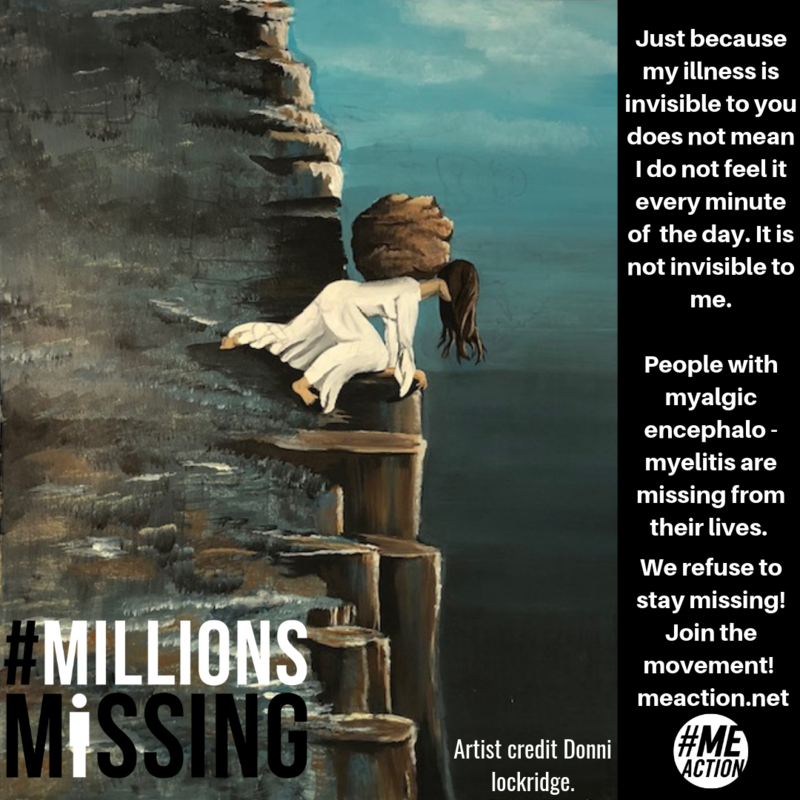 I am one of the #MillionsMissing due to myalgic enchephalomyelitis. Parents with ME do not want to miss another moment! 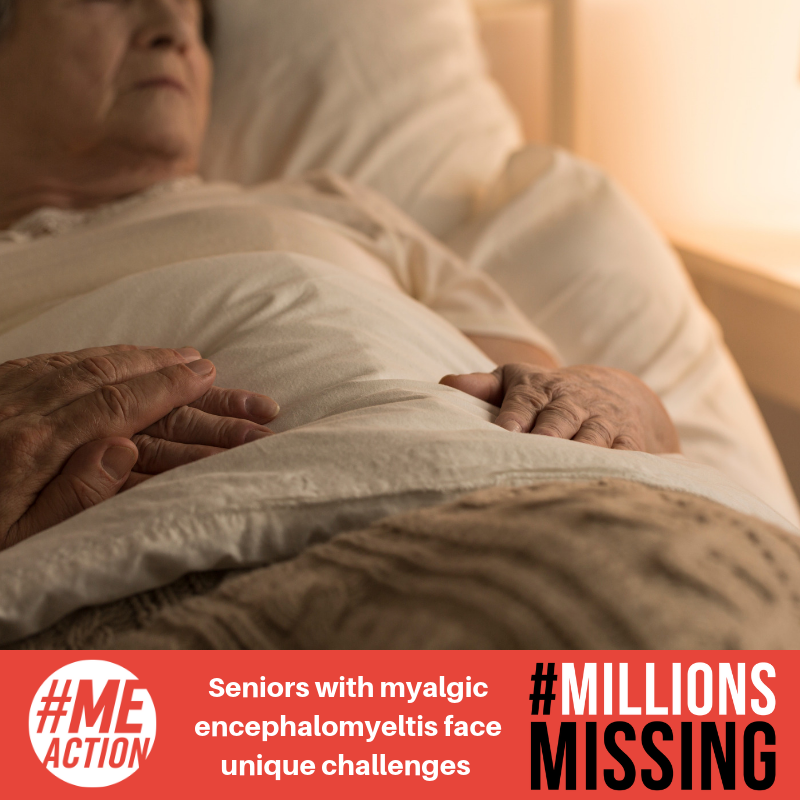 Join the #MillionsMissing on May 5th- 12th! Help parents with ME not to miss another moment! 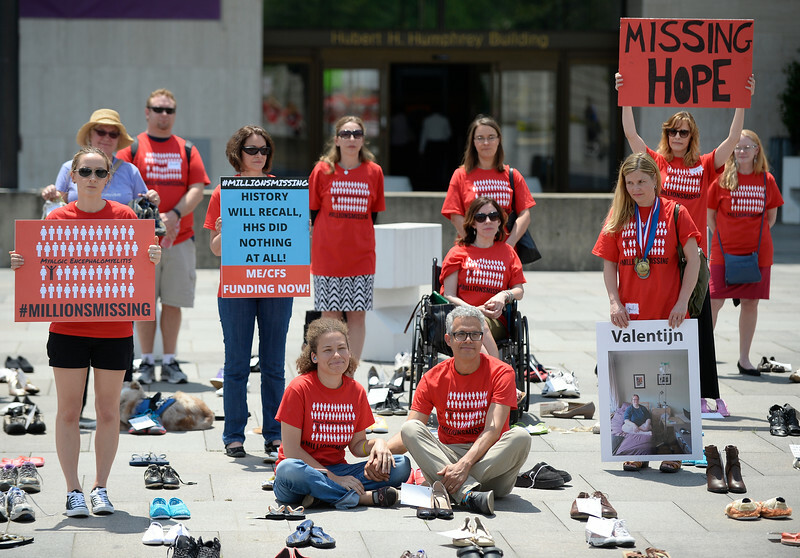 Donate to help the #MillionsMissing. People of color face multiple marginalizations. Believe women as we fight for the #MillionsMissing. 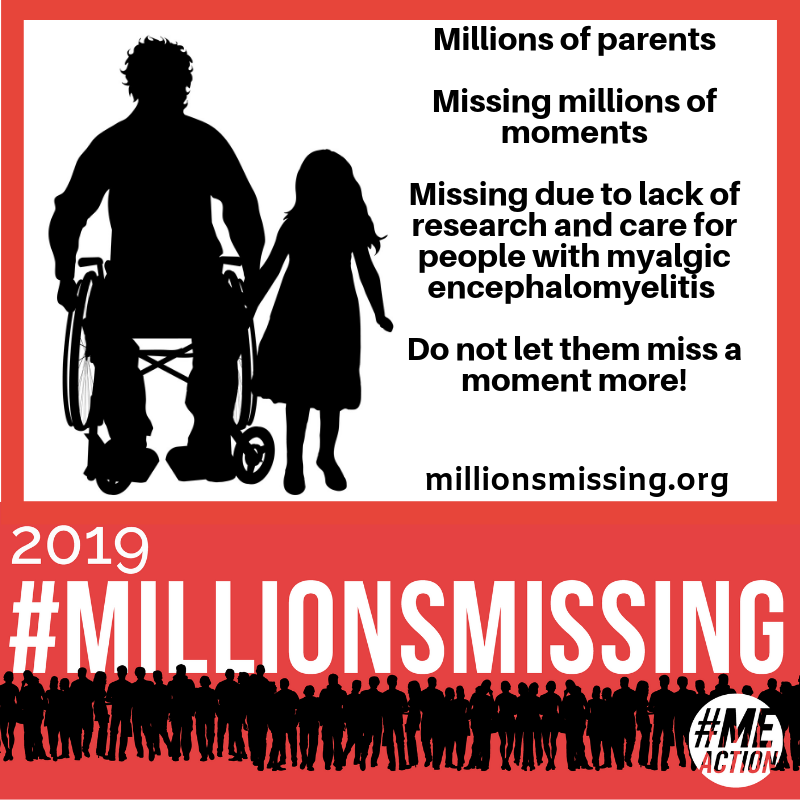 Help the #MillionsMissing in their fight to be missing no more! Do not let parents with ME miss another moment! Show your solidarity for the #MillionsMissing today. 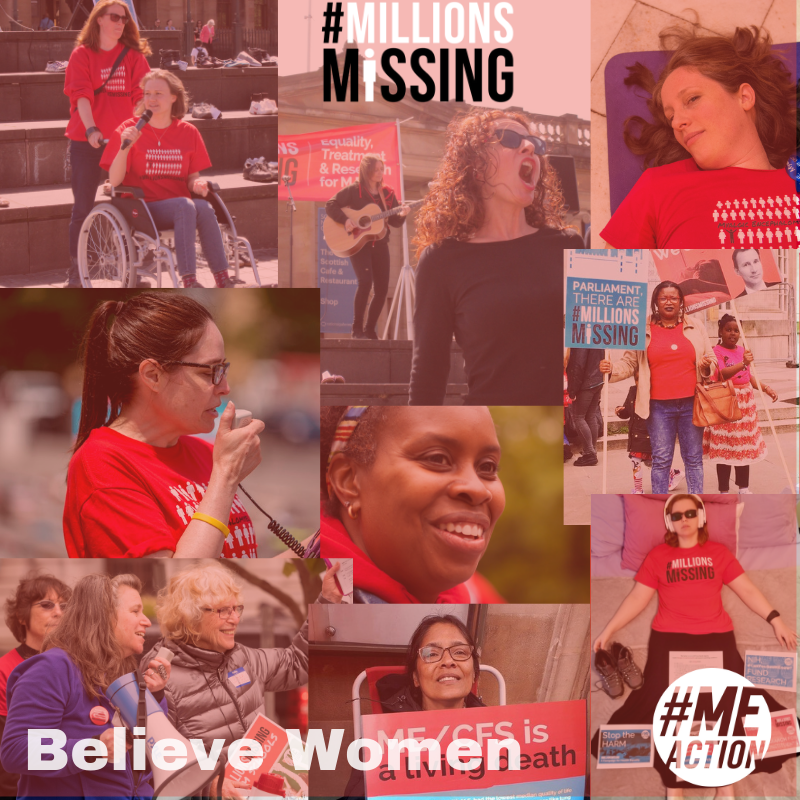 Believe Women as we fight for the #MillionsMissing! 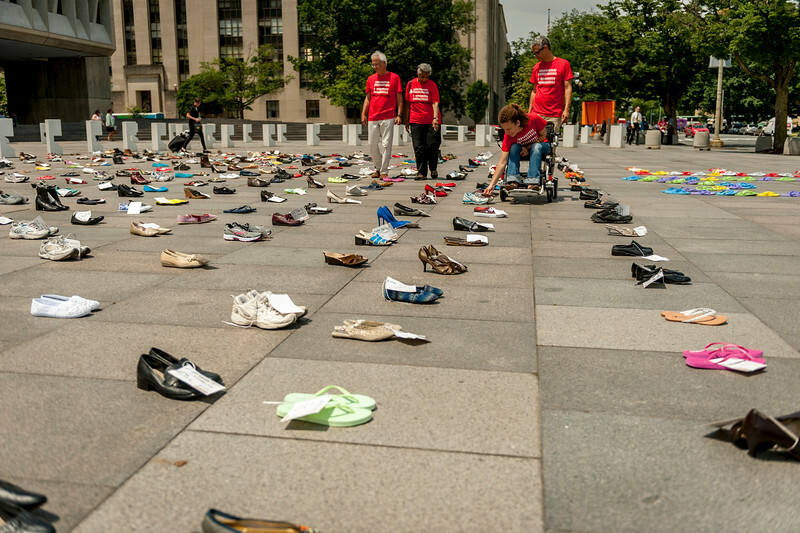 #MillionsMissing will not remain invisible! Our debilitating illness is anything but invisible to us!